Spotting a bright red cardinal on a dreary winter day makes my day. So of course we encourage birds to drop by our yard with a few tasty treats to tempt them our way. 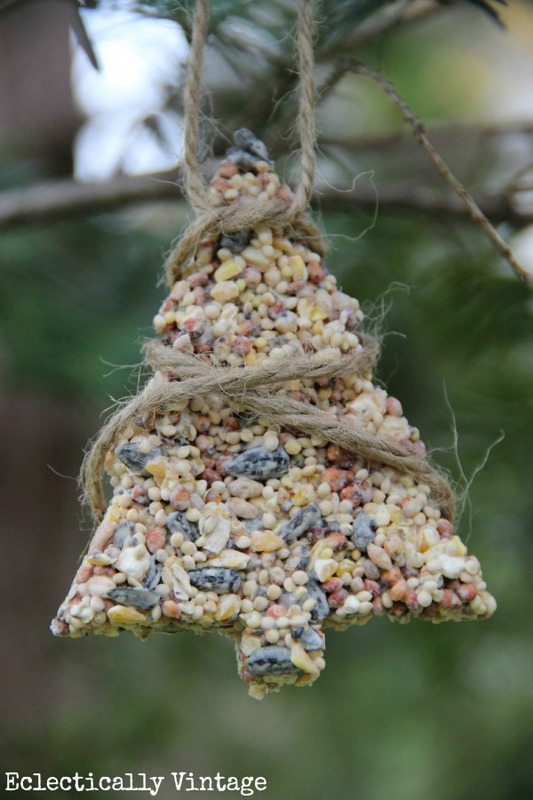 Whip up this simple birdseed ornaments recipe and be ready to watch the birds flock to your yard too. Don’t waste a bit. 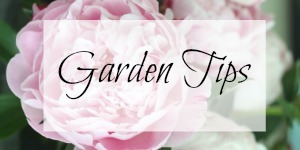 Toss the broken, leftover chunks of seed into a bowl and set under a tree. The other benefit of whipping up these treats is sharing some time with my girls as we dip our hands into the gooey mixture! P.S. February is National Bird Feeding Month – so let’s get in on the action and show some love to our feathered friends. 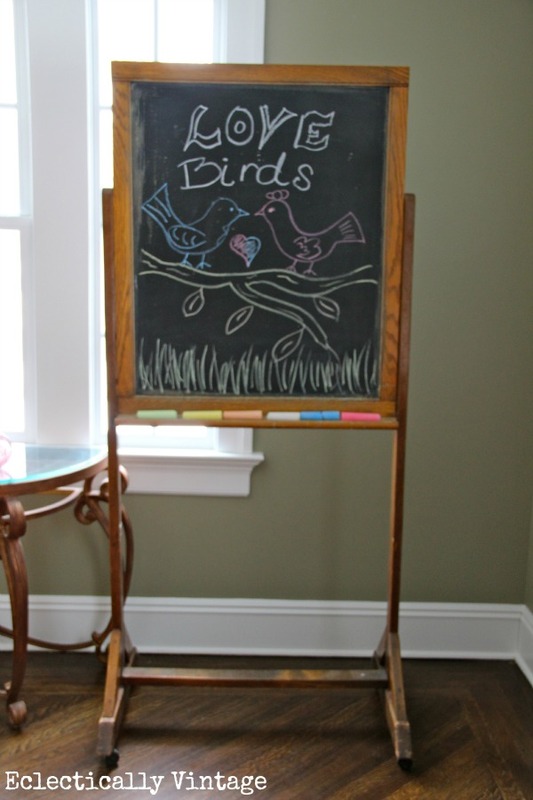 Check out all of my simple projects here and find out how I scored that fabulous antique chalkboard – from a nun! my kids will love to make these. who knew it was national bird feeding month. I think next month it’s go shopping everyday month . I have all the ingredients I need to make these, how sweet they are! We have loads of birds and these will compliment the suet we have out. Now I just have to make a path through the 3 feet of snow we got, lol! I had no idea it could be so easy to make something like this. My birdies thank you! Cute! My little man would totally love this. And we could hang them on the Christmas tree which is still sitting on the back patio in its stand. Besides hanging in trees, we put our bird treats like this in suet feeders, old muffin tins or just lay in tray feeders. Kelly we just made ones like these in my Sunday school class! The kids had a great time and the parents thought they were neat! This week they are going to tell me what kinds of birds they attracted. I am in love with your chalk board! Occasionally my husband and I will pick a little town we’ve never been to and ….escape for the day. We check out all the thrift stores, antique shops and garage sales. You never know what you’ll find! My latest was a 1950’s Buddo rocking horse. $20.00! The woman I bought it from was so sweet! It was her first ride she said! I bet we talked for an hour! She was thrilled “he” was going to a home where he’d be admired and respected. Such a wonderful way to spend the afternoon. 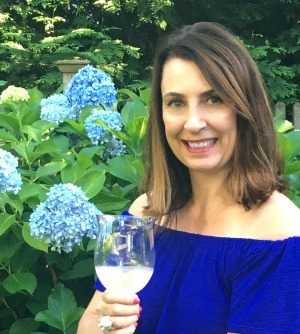 You are always welcome to join us Kelly! I think we’d have a blast! This is just the neatest idea! My mother-in-law has lots of bird feeders and the store bought hanging ones like this. I just made the list of material and gonna make her some for a “happy” to give her when we get the chance to go home again. She will love it! Thanks for sharing this. These are so cute and I’ll bet a lot of fun to make. Lucky birds to get those treats. Very nice. We don’t get cardinals in Southern California. But today I had my first oriole and the butterflies were fluttering about, so nothing to complain about. love this idea kelly!! thanks for sharing! I saw this post when you put it on Folk around Christmas time and my family had a very fun Christmas Crafternoon making them. My family consists of me, my husband, to boys 19 and 24 and one girlfriend to the 24 yr. old. I try to come up with activities to keep them away from the TV or the computer. They act disinterested because you know it would be all too un-cool to act like this might be something fun… it was easy to see they loved it. Everyone had a ball. We made gingerbread men, trees, stars and candy canes. Thank you for the idea. I love your style point of view. This is a very different recipe for bird ‘suet’ than you normally see, but easier, too. 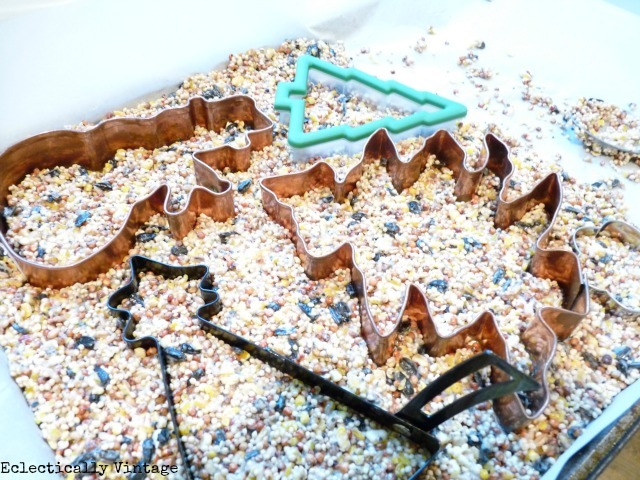 I love the cookie cutter shaping idea! 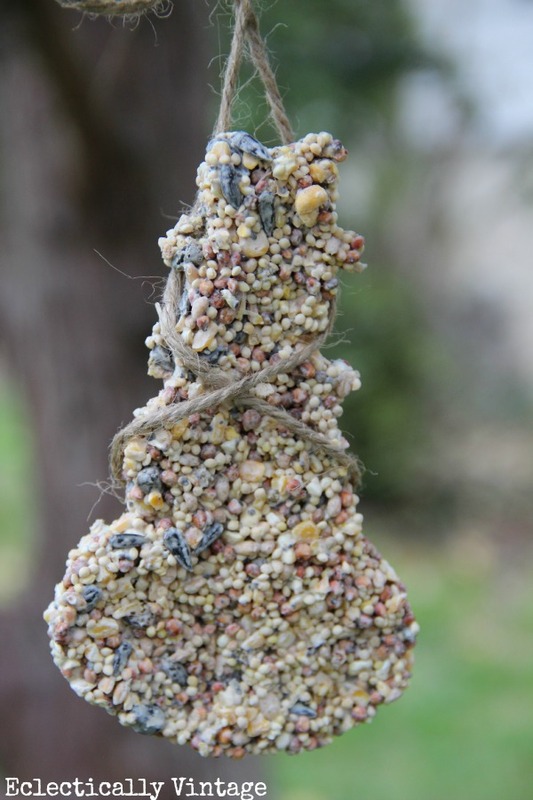 I’ve done my own suet and have many outside, I love watching all the birds enjoy the home made treats. Oh Kelly, I’m such a bird lover and these are so cute cut out like Cookie cutters ornaments, I know the birdies from miles around must love you. I’ll be featuring this post tomorrow on Be Inspired. thanks so much for joining in on the party! Great idea!! Can’t wait to try this!! We cannot get the birdseed out if the cutter to dry. It is soft and crumbly. Any suggestions? Let it dry hard in the cookie cutter. It made a sheet pan worth.